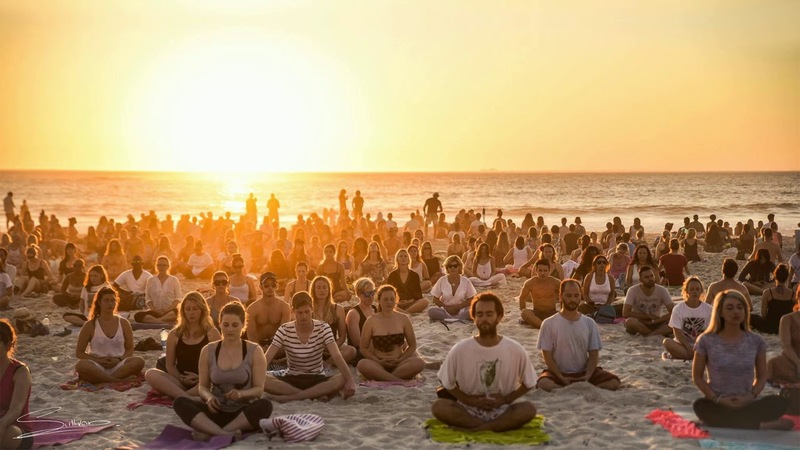 Different meditation groups have come forth and decided to cooperate with us in order to promote their special meditations, so that their meditation events can reach as many people as possible. At the same time, we are helping to form Unity in the awakened communities. Recent examples of such co-operation include the Worldwide Heart Meditation Day, suggested by Achievers DynamicSystems International (ADSI), Meditation for Healing Animals and Plants created by Teasy at Discord and Anette Luo at Yoga SOULutions and the latest Winter Solstice Meditation created by Prepare for Change (PFC). By working together, we promoted and created the guided audios for their meditations in different languages. We would like to invite other spiritual groups, that also perform their special meditations on a regular basis, to promote their meditations on this blog, so that they can reach even more people who are interested in converting their energies of stillness into physical effects on our global society and the planet as a whole. If anyone has an idea or divine guidance for a new regular meditation (daily/weekly/monthly), or would like to request one due to emergency circumstances in specific areas of the world (such as the Meditation for Catalonia in the past and more recently the Meditation for Myanmar), we would like to invite you to share your ideas with us on the WLMM Forum or in the comment sections of any recently published post. You will then be contacted to provide us with chosen meditation steps (if you can't think of any specific meditation instructions, we will then work together to create the most appropriate meditation instructions). 1. Please make sure that the meditation can be done within 15 minutes if it is on the daily basis. For meditations on a special occasion, such as the Worldwide Heart Meditation, it can be longer as long as it is not going to overlap with our existing daily meditation schedules. 2. If you are unable to create the guided audio, but are able to record the audio part, we will jointly finish the visual part of the guided meditation video. 3. Regarding the background music, the WLMM core team have recently established a standard among ourselves that all future background meditation music needs to be in 432 Hz, as this is one of the most beneficial frequencies for the general population. You can add any suitable music if you prefer, however please bear in mind that most of the songs are recorded in 440 Hz nowadays and you'd need to convert them into 432 Hz. There is a relatively simple method to convert any 440 Hz music into 432 Hz. You can set the speed of chosen background music in your audio/video editing program to -1,818% (or pitch shift to -0,318). More explanations about the conversion can be found in Untwine's article, in which you can also find the links to free downloadable software Audacity and a plug in to save the files in mp3. We would also like to use this opportunity to express our gratitude to all, who have chosen to use this blog to promote their meditations. We would like to continue working with all of you to help to spread mass meditations which will bring us closer to the planetary liberation and The Event. We would also like to thank everyone who promoted our meditations and participated in any of them, without their help our meditations would only be an unmanifested dream. We have started to do some recorded meditations ourselves and would like to offer those who may not have the ability to record a meditation to contact us and we can work with them to record the meditation.... Here is a sample of the last one we did, in 432Hz.